Hints and tips for anyone planing on driving to Bordeaux from the UK, including stopover ideas along the way. I may have mentioned a few times how much I love the city of Bordeaux in France, it is one of my favourites. Last year Lonely Planet named Bordeaux as the Number 1 city to visit in their Best in Travel 2017 guide and I couldn’t have agreed with them more! One of my favourite facts about this beautiful city is that apart from Paris, it has more preserved historical buildings than any other French city. That coupled with extensive regeneration along the river frontage over the last 20 years or so, means Bordeaux has become an awesome mix of old and new; of classic French restaurants neighbouring trendy new bars, of traditional gardens neighbouring modern skate parks, and of ornate historical fountains overlooking new interactive art installation fountains. Being closer to Spain than to the UK means that many people would not consider driving to Bordeaux, but we have done so on many occasions and it is totally doable. We would normally do this as part of a bigger trip, rather than a weekend away, with a nice stop over thrown in along the way. 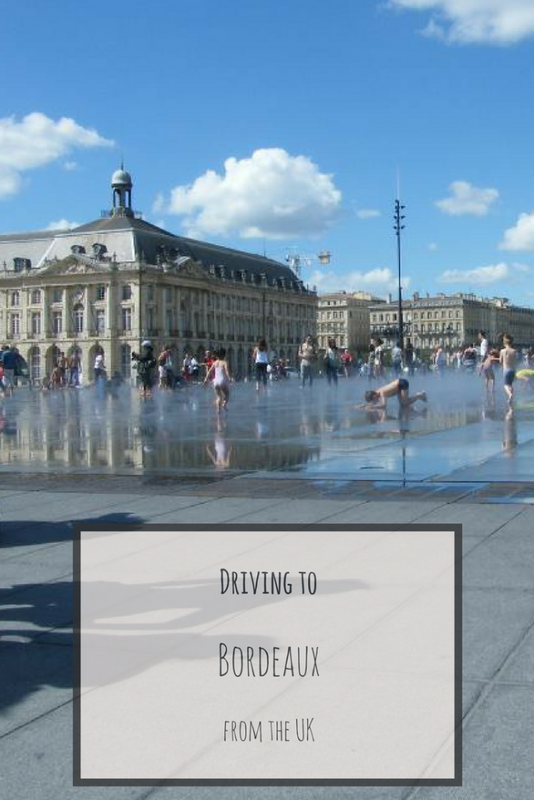 If you are considering your own road trip to Bordeaux, and are looking for some hints and tips, then read on to find out how we got on on our journeys down to this fantastic city. Depending on where you live in the UK, there are many different options on how to get across the channel with your car; with either the Ferry or tunnel being the obvious options. Brittany Ferries offer a range of different crossings from three different ports in the UK; Portsmouth, Poole and Plymouth. Apart from the obvious of driving on the right, there are a few other things that will help make your journey a bit smoother. 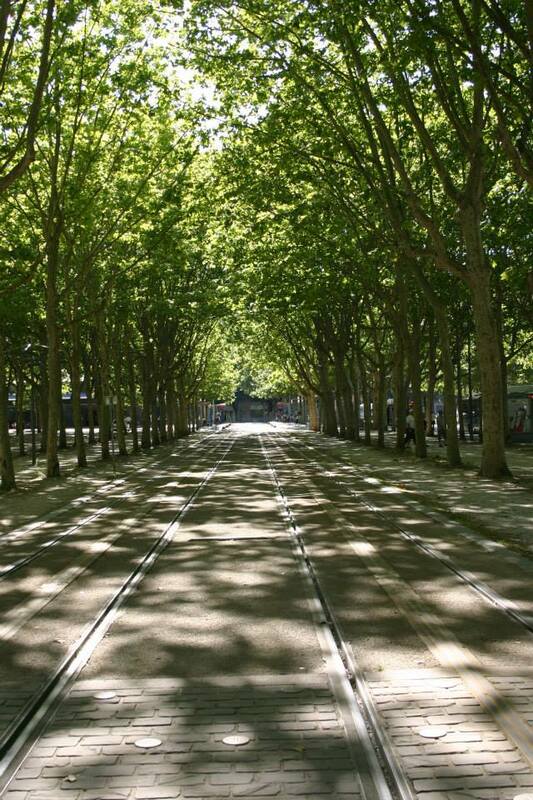 Firstly, if you are travelling in Summer it is worth knowing that on certain weekends it seems that the whole population of France is on the road, affectionately known as ‘black Saturday or Le Grand Departs (when everyone travels south) and Le Grand Retour (when everyone heads home again!). If your journey falls on these days (check online, the dates will differ slightly from year to year) it is a good idea to either get on the roads nice an early, or travel at night if you’re comfortable doing so. Secondly, travelling on the motorway means you will be required to pay at tolls. I would definitely recommend registering online for the “bip and go” Liber-t Automated Toll Payment Service. Order in advance before you travel and you will receive in the post a small electronic transponder which sticks up near the rear view mirror in your car. With this smart little device you can breeze through the tolls in the priority lanes, it reads your unique reference and opens the barrier. It logs all of your toll charges and then sends you an invoice and takes payment at the end of the month. If you would prefer to go the traditional way, it’s wise to have some cash handy just in case the card machine doesn’t work, or if it doesn’t like your foreign card (which has happened to us before!). 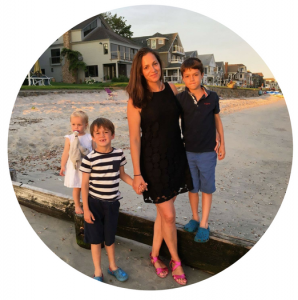 If you are travelling with children and are worried about taking on such a long journey, then it is definitely worth checking out this post with a whole host of road trip survival tips! Depending on where you first arrive in France, the drive down to Bordeaux can take anywhere between six and eight hours (providing the roads are not too busy). Finding somewhere to stay along the way can make the journey much more manageable. Thankfully there are many amazing places to stop along the way, not just roadside motels, from a city hotel to a village guest house. 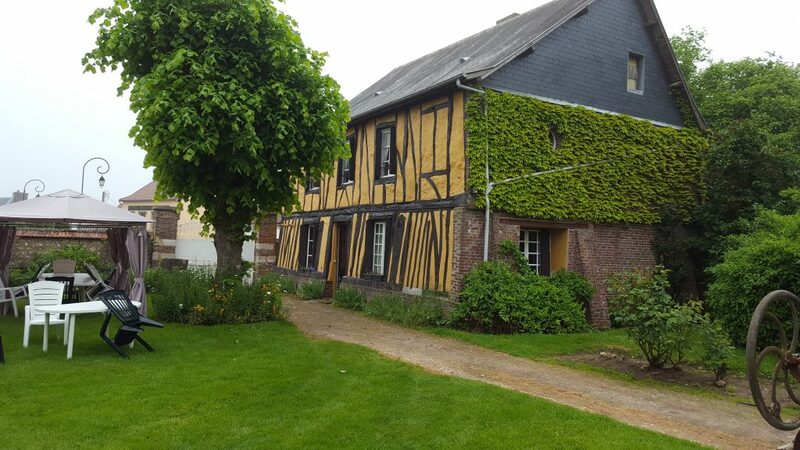 This lovely chambre d’hôtes is based just outside Rouen in Normandy, which is perfect for anyone making the drive down from Calais. There are three bedrooms in the main house and a separate family suite across the garden, so a great selection of options for different group sizes. If you book ahead, a three-course meal with wine and coffee is available in the dining room, where you eat with the other guests and the owners. Breakfast is also served with other guests in the dining room, and is a classic croissant, coffee and orange juice affair. 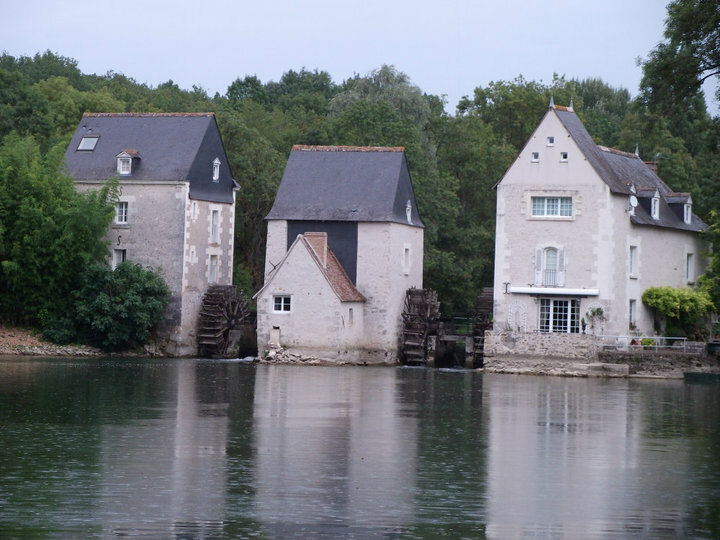 If you are looking for something a bit different, then how about a stay at a historic watermill? 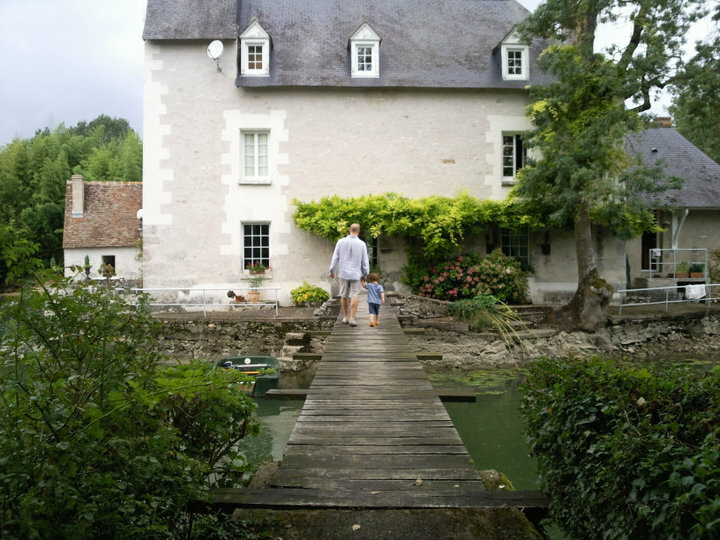 We stopped at this amazing property, South of Tours, for one night and as well as a beautifully furnished bedroom in the historic building, we also enjoyed using the rowing boat, and picking fruit in the pretty cottage style garden. It was the perfect way to break up the long journey, and a real treat too. 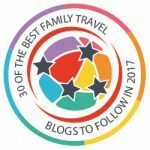 If you’re looking for more of a city break en route to Bordeaux, then Lisa from Travel Loving Family would recommend Nantes in Brittany. 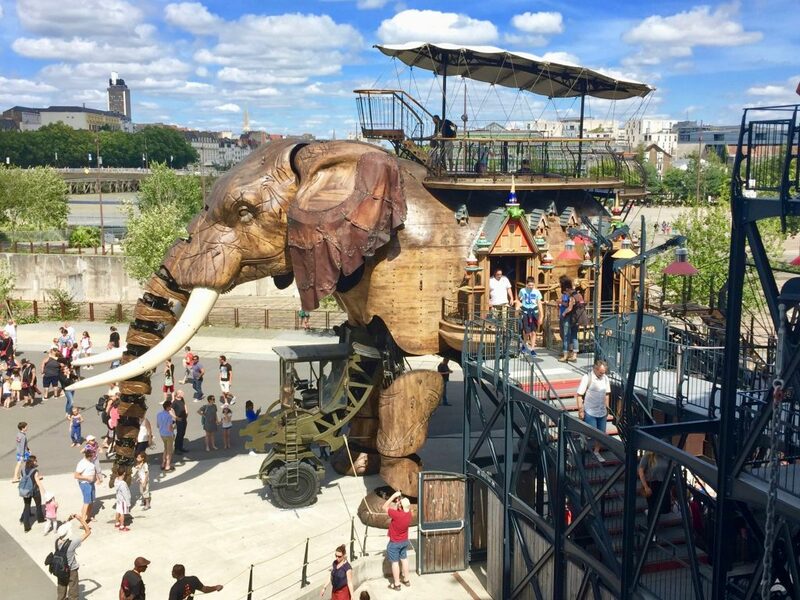 This historic city is actually the 6th biggest in France and you can fill your stop over with anything from a more traditional visit to the castle of the Dukes of Brittany, to an exciting visit to Machines de l’île to see a 40 foot mechanical elephant! 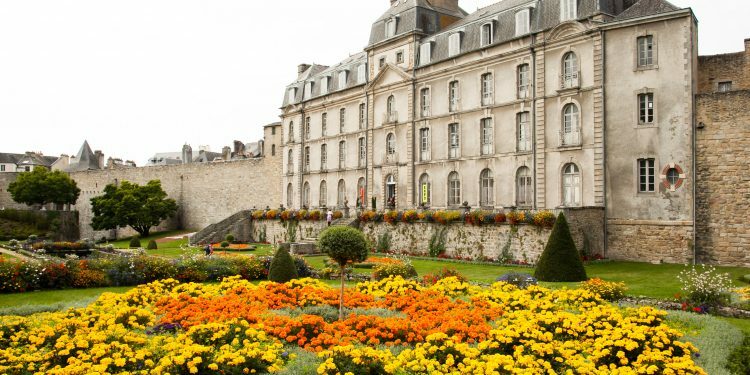 If you’d like to explore more of Brittany and you’re happy to head off the main motorway route down to Bordeaux a bit then Karen from Mini Travellers recommends the walled city of Vannes. With a bustling harbour, traditional cobbled streets, picturesque half timber houses and a pretty château, she describes it as the perfect town for wandering by foot. 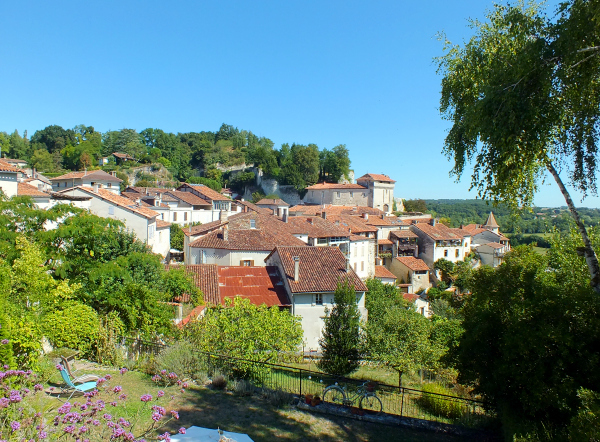 If beautiful little villages are more you thing then Nell from the Pigeon Pair and Me recommends Aubterre in the Charente region. This pretty little town is listed as one of France’s ‘Plus Beaux Villages’ (most beautiful villages) and dates back to the 11th century . It’s set on a hilltop overlooking the Dronne River and has château as well as and an underground church, which is carved into the limestone cliff. In the heart of the town you will find a small square lined with restaurants, perfect for a nice meal after a long drive. For me, Tours is the perfect stopping point along the way to Bordeaux. It is far enough to make you feel like you have done a good chunk of the journey already, and it is also right next to the motorway, meaning you’re not taking too much of a detour. With a beautiful cathedral, pretty half timber buildings and a great selection of restaurants and shops, it is a perfect place to explore and stretch those travel stiff legs. There are many accommodation options in this pretty cathedral city but we opted to stay just outside of the city in a family room at the Mercure Tours Nord hotel, which has a pool and the added bonus of being able to easily get back on the motorway in the morning without having to navigate the city centre traffic. If you are travelling with kids then I can highly recommend stopping at Lulu Parc, which is also just north of the city, and only a few minutes drive from the motorway junction. 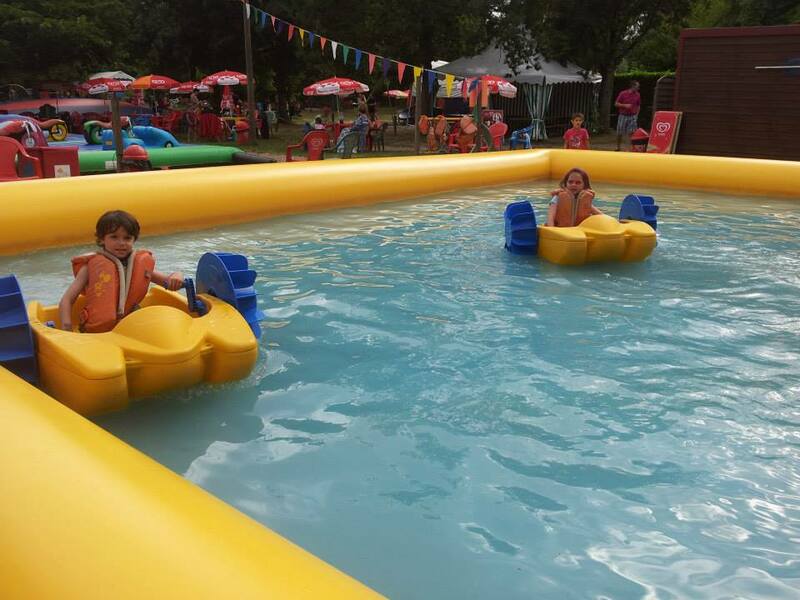 As well as a family friendly restaurant and mini golf, there is also a fab play park with a little train, racing cars, large sandpits, inflatables, water play, toboggans and much more. It is certainly no Disney World, but it is just perfect for kids who need to blow off some steam after a long journey. The Beautiful City of Bordeaux! So you survived the long drive, and had a lovely stop along the way, now it is time to explore this beautiful city. With lots of pedestrianised parts of the city centre, parking on the street isn’t always that easy. Thankfully there are a number of carparks, including the massive underground Parking Bourse – Jean Juarès which is located underneath the very central Place de la Bourse. It’s not cheap, but it is secure and very convenient, and has lift access too. There are many accommodation options in the city, but if you are looking for comfortable and convenient on a bit of a budget then it is worth checking out the Quality Hotel Bordeaux Centre which is ideally located on the corner of Rue Sainte Catherine – the long pedestrian street lined with shops and restaurants. We have stayed here with and without kids and it ticks the box for being perfectly located and not breaking the bank! This hotel will also be ideal for checking out the many bars and restaurants of the pretty Place du Parlement and all the little streets leading off of it – perfect on a warm afternoon and evening. 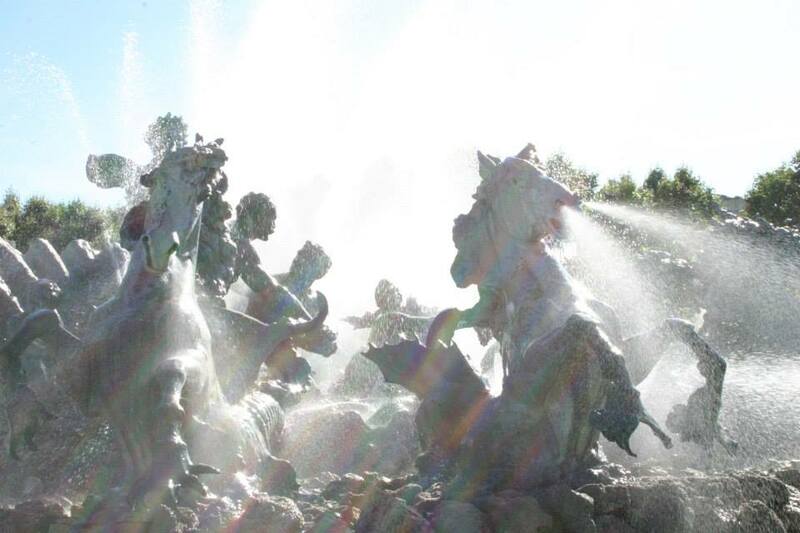 If you are travelling to Bordeaux with kids then I have written before about some of the many amazing things to keep them busy – including vintage carousels and the botanical gardens. 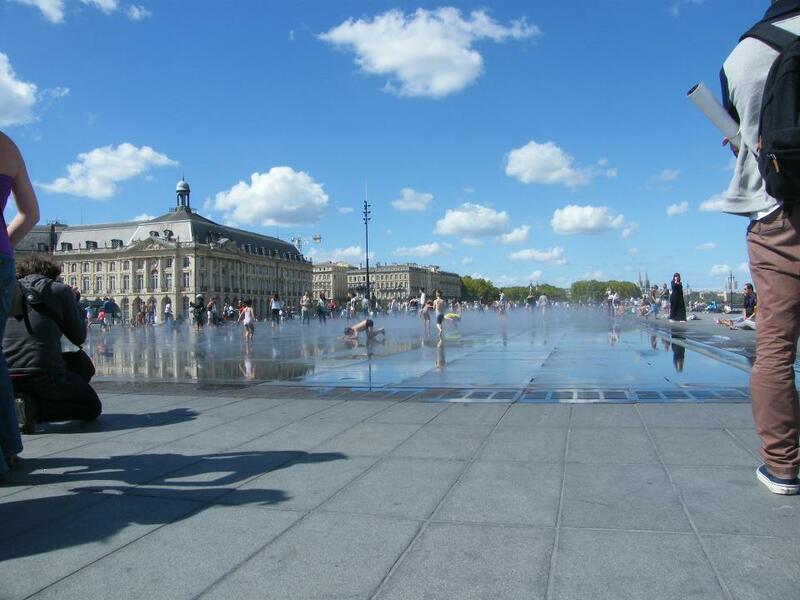 But it is the vast interactive fountain at Place de la Bourse that is the real winner, keeping kids entertained for ages with its mist and water where they can run and splash to their heart’s content! After visiting #Bordeaux every summer for about 5 years running, our travel plans this year don’t take us there. The DaisLikeThese kids are certainly going to miss this interactive water mirror fountain – they love it so much! 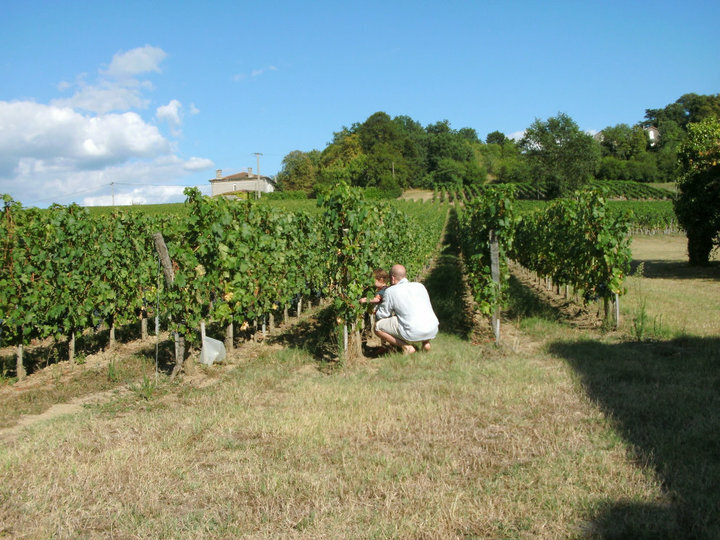 You can’t come to Bordeaux and not pop out to the vineyards for a tasting – which is even possible with children! 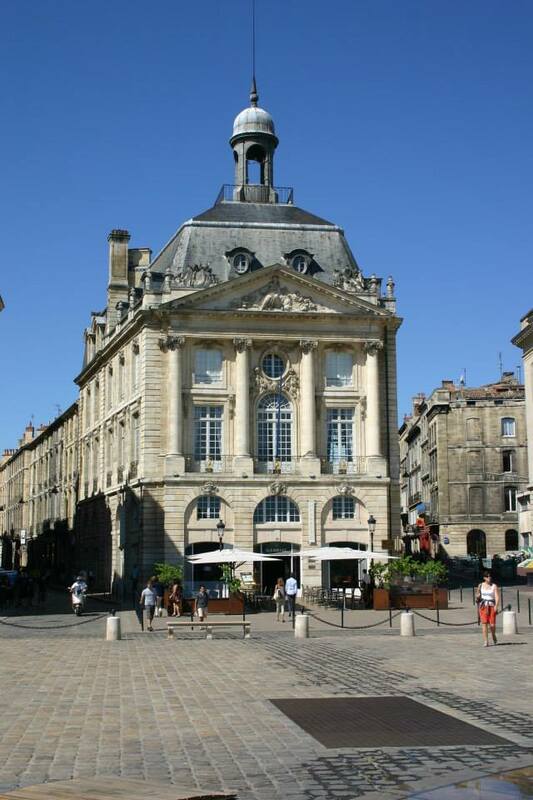 There are so many to choose from, but the Bordeaux tourist office and their website will be able to help with planning. We visited Château D’Agassac, which is 15 minutes by car from Bordeaux. The setting is like something out of a fairytale, with the 13th Century château surrounded by rolling vines and sunflower fields. The tour here is “vin-teractif” with iPad tours for kids. Throughout the tour they need to rescue a princess from the towers of the virtual castle. 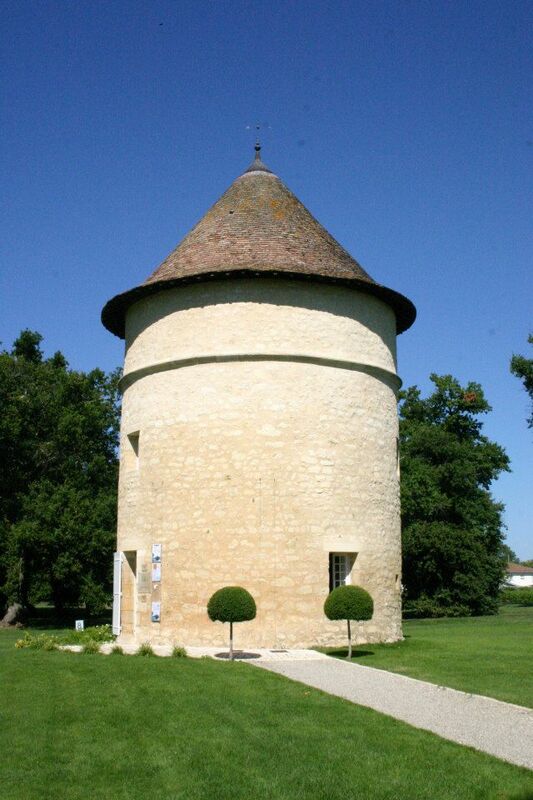 At the end of the tour, wine tasting takes place in the beautifully restored pigeonry which is simply perfect! 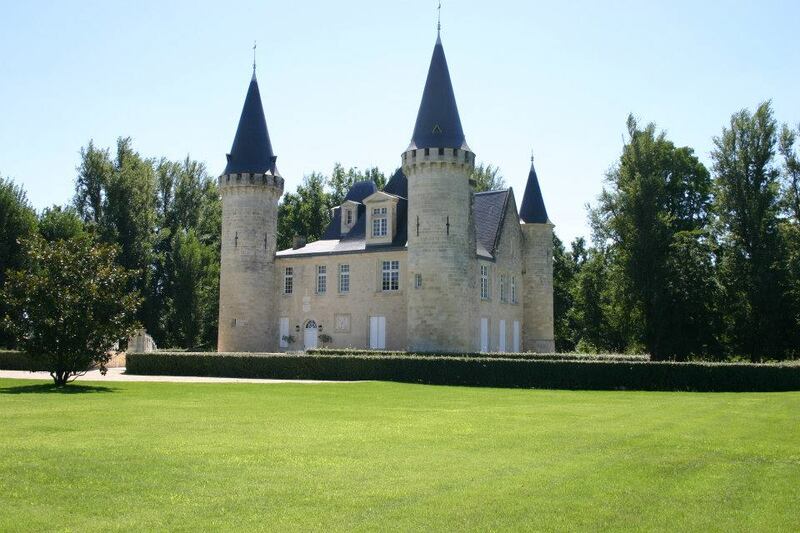 And if you prefer vineyards and countryside to the hustle of Bordeaux, then why not stay in a château?! Château Richelieu in Fronsac, just outside Bordeaux, is a chambre d’hôtes offering a selection of rooms, a swimming pool and an evening meal (cooked by the host) in the grand dining room. The grounds are perfect for an evening stroll through the vines with stunning views of the surrounding countryside. So there you have it, a drive to Bordeaux may seem daunting (especially with kids in tow) but it is totally doable and can become a real adventure too. The reward of the beautiful and vibrant city is worth the travel time for sure. 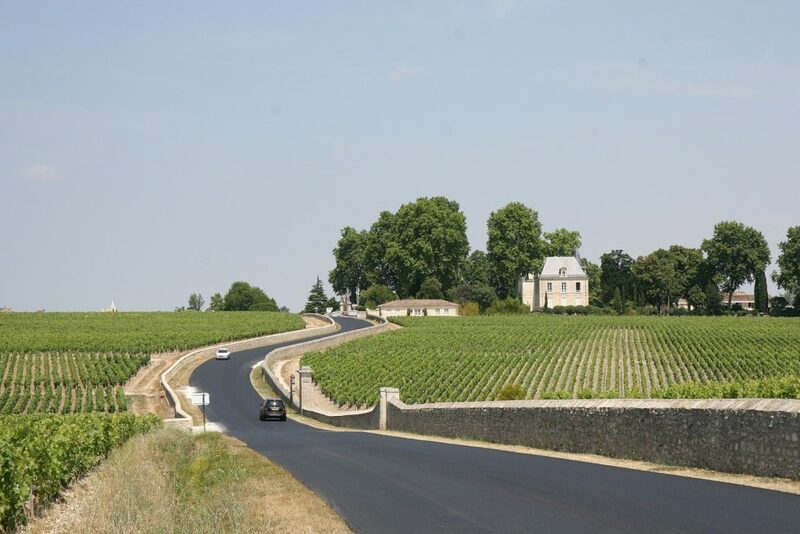 Have you driven to Bordeaux before? I’d love to hear about any great places to stop along the way and any fab activities in the city itself. Bordeaux is an amazing place. Bordeaux is amazing! Reading your article made me want to go back even more ! I love your stop over ideas, those places look very charming and welcoming .